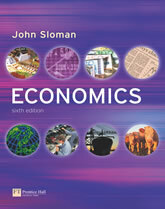 Literature: The course is based on the textbook of Sloman: Economics. 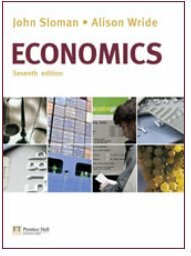 (I used to work with the 6th edition 2006, but the new edition was published in June 2009. As the new edition will include updated material, e.g. about the financial crises, I'll change to the new edition. It should be possible to use the old one if you can buy a used one cheaper (The CONTENTS of the 6th ed. of the book with the highlighted parts we discussed in class), but if you buy a new one you should wait for the 7th edition). 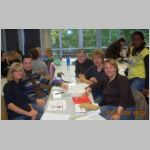 In this module, we use the AULIS, the E-Learning-Platform of the Hochschule Bremen. The group is Magazin > Fakultät 1: Wirtschaftswissenschaften (School of Int. Business - SIB) > Kategorie European Finance & Accounting (EFA BA) > Gruppe EFA Jahrgang 2008 > Semester 4 > Economics II SoSe 2010. We are going to use this group for our internal communication and the uploads of the students. The Assessment consists of a presentation during the semester and a written examination at the end of the term. Both parts will be marked separately and the overall mark will be a weighted average with the presentation counting for 33.3% and the written exams 66.7% of the final mark. Both parts have to be passed!! 1) The presentation will be about one chapter of the book, it is expected, that you present additional material and examples. Presentations should be delivered by groups of 4 (to 5) students and take between 20 and 30 minutes. The groups are formed in June to give you the possibility to prepare your presentation during the summer. It is expected that you provide a handout. No additional paper has to be delivered. See here for the Marking Criteria for Presentations and the result of our discussion "What makes a good presentation" from October 8th. If you did not enrol for a presentation up to now please do so as soon as possible - using the AULIS forum mentioned above. After the term 2) a written exam (60 min) will take place. For further information please see below. To register fo the presentations topics please refer to the FORUM in the AULIS group! Interesting Debate at the Economist about GDP as a measure of welfare. Fiscal and Monetary Policy in the IS-LM model - what can go wrong? Groups (Module exercise): The tasks of the module exercise normally refer to the topics discussed in the last week(s). The numbers refer to the chapter in the textmook (Sloman: "End of chapter questions"). 1) The presentation will be about one chapter of the book, it is expected, that you present additional material and examples. 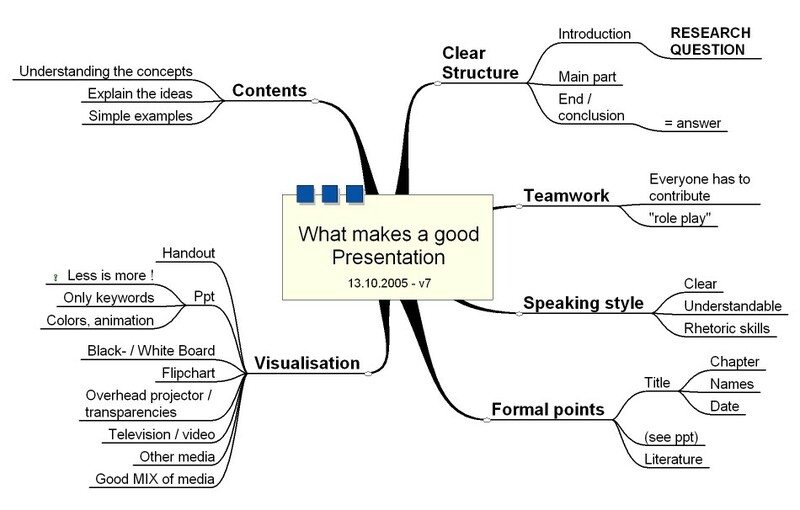 Presentations should be delivered by groups of two students and be between 20 and 30 minutes. The groups were formed in June to give you the possibility to prepare your presentation during the summer. It is expected that you provide a handout. No additional paper has to be delivered. See here for the Marking Criteria for Presentations. We will discuss tips and criteria for a good presentation in class. "What makes a good presentation?" as MindMap or jpg-graphic. All students who didn't enroll for a presentation yet, please joint one of the existing teams! After the term 2) a written exam (60 min) will take place. please remember that these were all courses based on different books, partly of different intensity, so they are not directly comparable. The "Module Exercise" takes place once a week for 45 minutes. We will form 6 groups and every groups is assigned tasks for the next week and is expected to present the results. The exercise is part of your individual workload, it isn't marked and the lecturer won't deliver new information; he will only moderate the sessions.